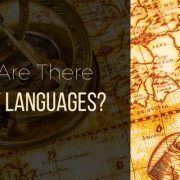 When you think of South American languages, you probably think of Spanish and Portuguese. But South America is actually one of the most linguistically diverse areas in the world, with over 448 languages from 37 different language families. Unfortunately, however, many of those languages may soon fall silent. UNESCO classifies 108 South American languages as “critically endangered,” the last step before extinction. Some only have one living speaker. Others have almost no documentation- once they’re gone, they’re gone for good. Here’s the scoop on 8 of these critically endangered languages of South America. Tehuelche is the original language of the Tehuelche people of Patagonia. When the Spanish began to explore Argentina, they encountered giant footprints in the mud and believed they were exploring a land of giants. Of course, the footprints weren’t those of giant Patagones. There were left by the moccasin-clad Tehuelche people, going about their business and speaking the Tehuelche language. Today, only 4 Tehuelche speakers remain. The language began to decline in the late 1500s, when many of the Tehuelche tribes began speaking Mapudungun, the language of their Mapuche neighbours, instead. The Spanish conquest sealed the deal, as even the tribes who continued to speak Tehuelche began to speak Spanish. Once, the Pacahuara people roamed the Amazon. But the rubber industry decimated them. Now, only a small handful remain, in 2 groups. 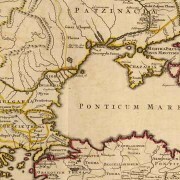 One group was relocated by Christian missionaries in the 1970s. Only a few elderly members of this group still speak the Pacahuara language. They are often referred to as the “last Pacahuaras.” You can hear their language in this BBC broadcast from 2013. There is also a group of “uncontacted” Pacahuaras that has refused contact with the rest of the world. Experts believe they number about 50 people in total. Until the 20th century, the Arikapú people lived in the Brazilian rainforest, uncontacted by Western civilization. They hunted, fished, gathered and grew some crops. They also bred various types of edible insects, using the larvae as food. But Western diseases decimated the Arikapú, and many of the survivors were exploited by the rubber industry and relocated to reservations by the government. Today, only 2 Arikapú speakers remain. The rest of the ethnic Arikapú now speak Tuparí and Portuguese. The Guató people used to be widespread in the southwest region of Mato Grosso, Brazil. They were known as “canoe people” and tended to live along lakes. But settlers in their territory brought smallpox and other diseases, and cattle ranches encroached on their traditional lands. Now only 4 Guató speakers remain. There are two groups of Kanoê Indians living in Brazil- one group, which is integrated into mainstream Brazilian society, and one isolated group that was uncontacted until recently. Only 3 of the first group speak their native language. 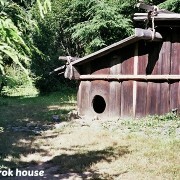 Of the second group, only a single family remains. This group sought refuge in the forest, pursued by loggers and ranchers who wanted free use of the land. The ranchers attacked them with bulldozers, and took down their houses and gardens, all the while denying that there were any indigenous people in the forest to begin with. 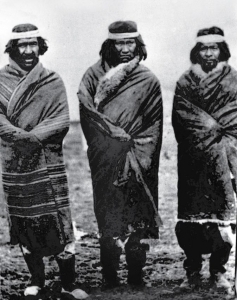 One day, the men of the Kanoê tribe left on an expedition. According to Povos Indigenas no Brazil, they hoped to find neighbouring indigenous tribes and negotiate marriages for their daughters. They never came back. When the women realized that all of their husbands and older sons had died, they decided to commit mass suicide. One woman, Tutuá, changed her mind at the last minute, and saved herself, her son, her daughter, her sister and her niece. 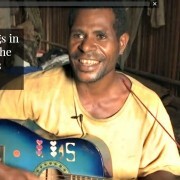 The man singing in the video above is her son, Pura. The Oro Win live in Rondônia, Brazil. They were enslaved by rubber tappers in the 1960s, then forced off their lands in the 1980s. In 1991, they were finally given their land back and were able to return. But by that time, their language had almost completely disappeared. This language has a bit more hope than most of the others on this list, as the Oro Win have begun to teach it in schools. 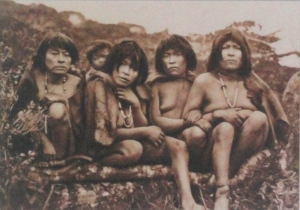 The Yaghan people once lived in Tierra del Fuego, where they stunned European explorers by walking around mostly naked despite the frigid temperatures, gathering around the fires that gave Tierra del Fuego its name. But European diseases took their toll, and European settlers took their land. Now, 90-year-old Cristina Calderon is the last speaker. That said, she’s been working with linguists for years to record and preserve the language. And now that the atmosphere toward native languages has become more welcoming, Yaghan is being taught in local kindergartens. If nothing else, Yagan is likely to live on as a piece of internet trivia. The word “mamihlapinatapai,” usually translated as “To look at each other, hoping that either will offer to do something, which both parties much desire done but are unwilling to do,” has made its way into various online articles of untranslatable words. 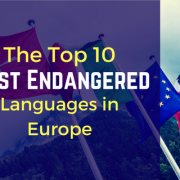 It may be too late for many of the languages on this list, but many other minority languages still have a shot at survival. At K International, we’re all in favour of language preservation, and one way to do that is to make it easier for people to use their native languages in daily life. If you’re looking for a quote on a translation project, check out the services we offer and feel free to contact us. We’d love to hear from you! 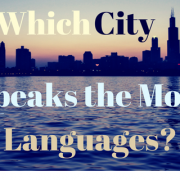 Which City Speaks the Most Languages?